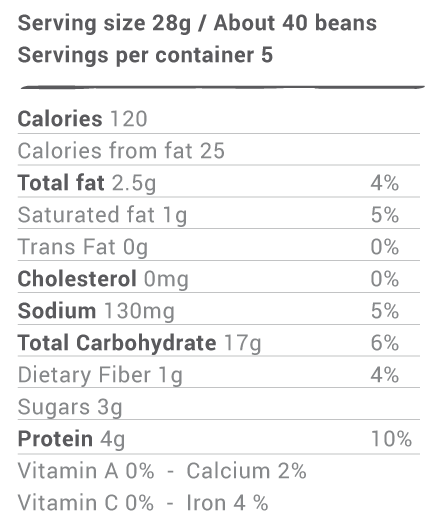 Finding good plant based/ vegan snacks is super hard. Yeah, I know, eat a fruit. You know what though, that gets boring all the time. Sometimes you just need to kick things up a notch, while still staying within the goals you set out for. Which for me is to eat whole foods, not overly processed with chemicals and additives. 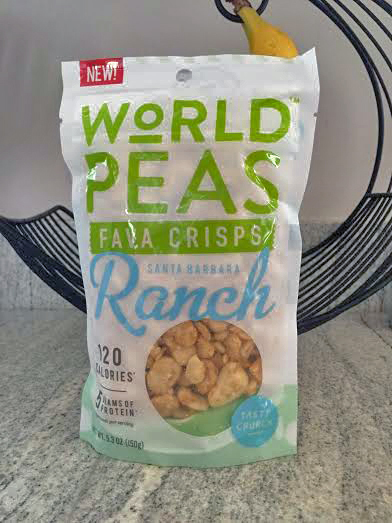 So, when I had the opportunity to try out World Peas Ranch Fava Crisps I was all about it. They graciously sent out a bag to taste test and it was nearly gone before I could get it in the door. My boys, like any young kids, like to snack. I have a hard time getting them on board with some of the stuff I eat, fruits and veggies aren’t an issue but, some of the other stuff is a bit whacky for them. Kale chips? Yeah, maybe they will try it next time. This time, they were all about the fava beans. Of course, I didn’t say they were eating fava beans until the were wrist deep into the bag grabbing more. They couldn’t believe they were eating beans. They had an even harder time comprehending that the ranch flavor they tasted was not milk based and was completely vegan. They loved it. 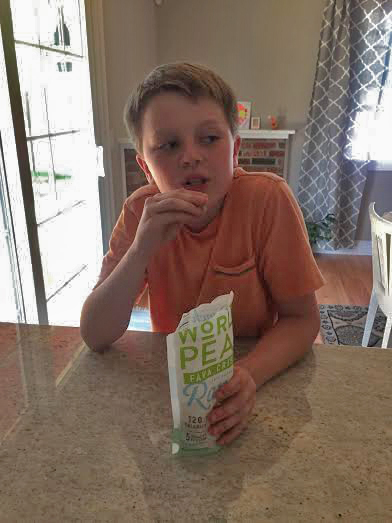 My son Alex said, “I could make myself sick on these.” Meaning, he could eat and eat them until… well… you get the idea. Now my son Colin, the pickiest of the two, asked me to put some in his lunch for school the next day. I haven’t even told you what I thought yet. They pretty much summed it up. These were beyond anything I thought they could be. Not only were they tasty but they were satisfying. The crunch was nice and mimicked that “chip” like satisfaction you get with overly processed and greasy potatoes, but with barely a speck of the unhealthiness. If you are not into beans, don’t let that turn you off. As my boys will attest, they had no idea! YUM! I love roasting chickpeas to have a great snack (I actually top my frozen banana soft serve with them, it’s super!) I wonder if Wegmans sells them. I’ll have to check it out!